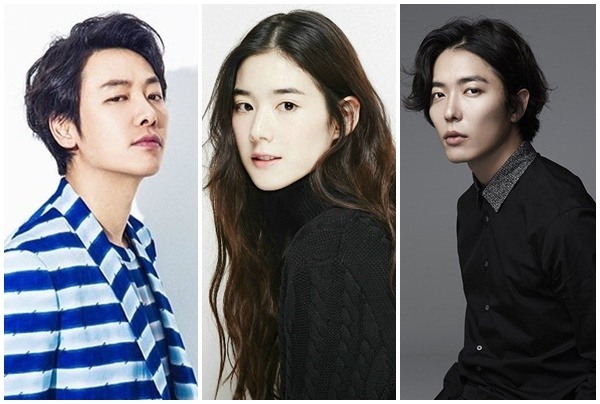 The lead actors for the series -- the English title is not yet fixed -- were announced Wednesday, including Kim Dong-wook, Kim Jae-wook and Jung Eun-chae. The plot will center on a shaman, a Catholic priest and a detective. The three will fight against unusual crimes, using exorcism and shamanism. “I am glad to participate in the work that deals with a subject not often discussed in Korea,” Kim Jae-wook said through his agency. “Son: the Guest” is set to air in September. Director Kim Hong-sun, who pulled off hit thriller series “Voice,” is to lead the production. OCN’s previous shamanism series “Children of a Lesser God” was well-received by viewers, garnering an average viewership rating of 3.8 percent, relatively high for a cable channel. The story was set around a detective, played by Kim Ok-bin, who could look into the past and the future.